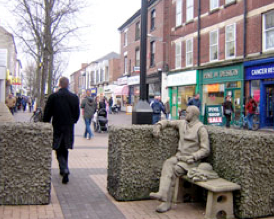 Be sure to vote for your preferred improvements to Beeston town centre by Broxtowe Borough Council. The poll is hosted on our website, and closes on the 30th June where the results will be handed over to the Town Centre Manager at the borough council. Peoples preferences will be strongly taken into account, and this “phase 1” of selected improvements will be completed in time for the tram opening. Beeston Continuum is looking at improvements for phase 2.